I have the experience and production skills to research, budget, scout and execute any size project. I predict, or solve problems, reduce unnecessary costs and ALWAYS deliver a quality product within the proposed budget. I will not rest until the job is done perfectly. No errors – No excuses. All my knowledge of the this industry has come from hands on experience after being on-set for over 17 years. My dedication to my craft, travels and marketing strategies have helped me make hundreds of business contacts both in Australia and around the world. I hold both Australian and South African citizenship, and I think, dream, write and speak fluently in both Spanish and English. Warren was a great asset to our team. While we contracted him to scout and manage locations for our international TVC he did so much more. He stepped in to help wherever it was needed and did so with grace and humility. He was flexible and accommodating as plans changed, and was a patient, personable and supportive member of the crew. He did whatever it took to get us the results we needed. We will be using him again. Ordinarily I oversee all aspects of pre-production on my projects personally but clearly this isn’t an option when I live 2,000 kilometres from the location. So there’s nothing quite like arriving into a foreign country to complete a compressed filming task to make a person feel somewhat anxious. That was me rocking up in Sydney. Fortunately, I had Warren on my team. It quickly became apparent that he is THE MAN – the man to sort stuff. From location recces, prop hunting, traffic wrangling, Client placating, crew massaging, and food gathering…Warren proved invaluable. I highly recommend him to anyone looking for an experienced, capable and clever person that will 100% commit themselves to any task assigned them. Too bad I couldn’t bring him back to New Zealand with me but our bio-security protocols wouldn’t allow it! I frequently use Warren in many capacities – line producer, locations and most recently as a producer. 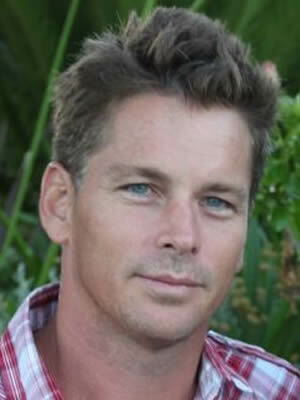 He has worked for me on numerous productions in Sydney and Melbourne. He has a lovely demeanour, is reliable and trustworthy and is also very profitable – which is important in this day and age. In a previous life as an agency producer, I also worked with Warren numerous times in South America – where Warren facilitated the entire production: locations, casting, agency/client travel, etc. I’d highly recommend Warren and would be happy for anyone to contact me directly to discuss further. I think the test of a great producer is seeing how they work when absolutely everything is conspiring to go wrong around them. That is when true colours are shown. I’ve only worked on one job with Warren – he made the complicated look simple and the 486 headaches that the job offered up seem painless. When the proverbial is hitting the fan you need someone with a level head, experience and a knack of creating simple solutions that won’t compromise the job. Warren is that guy. We travelled to Sydney from Toronto, Canada, for a fun but challenging travel job, and Warren took us under his wing, and introduced us to some great locations all around Sydney, as well as some fabulous crew. We shot for a bunch of days very seamlessly, and the client and agency were “over the moon” happy with the experience. It was all, in no small part, due to Warren. I’d happily shoot with him anywhere in the world. A total pro.